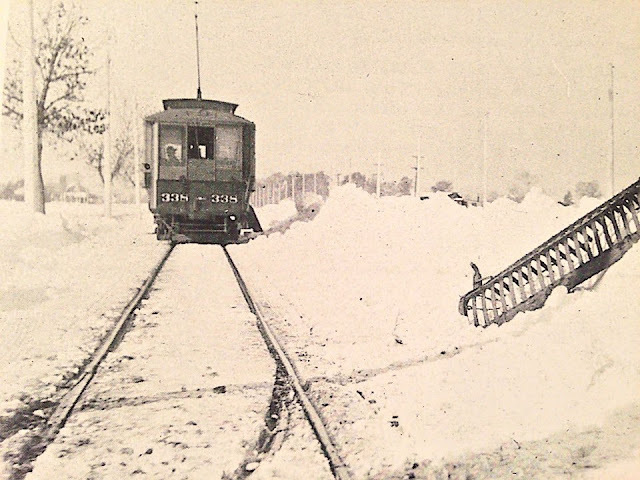 October 25, 1906 - This photo was taken near Colfax & Ulster St, (not too far east of Quebec St), right after a major snow storm. The house to the left in the background is 1455 Quince St., (right next door to the new Quince Essential Coffee House). (Photo from: Denver's Street Railways Volume II - 1901-1950, compiled and written by Don Robertson and Rev. W. Morris Cafky, 2004).